Add newspaper clippings to your photo board. 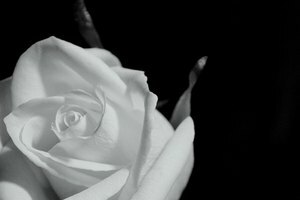 Funerals are both a time to mourn the passing of a loved one and to celebrate his life. A memory board helps people relive positive memories and adds to the appreciation and celebration of the life of the deceased. 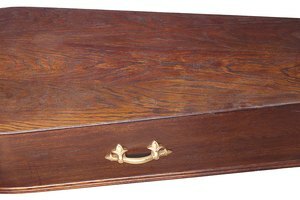 Some funeral homes will make a memory board for you, but it's easy to make one on your own. The process of making a board also gives you some private time to reminisce and process your feelings. Collect all the photos you can find relating to your loved one. Call family members and friends to ask for additional pictures. 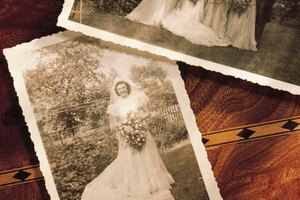 Gather memorabilia related to your loved one's life, such as newspaper clippings, letters and cards. Find items that were special to your loved one or represent her life, hobbies or career. Sort through your photos, arranging them so they're all easy to look at in a pleasing collage. Choose photos that feature your loved one with each of the members of his family. Look for group shots if you have a large family and understand that you may not be able to include everyone. Use double-sided tape to attach the photos to your poster board. Fill in any gaps in your memory board with pictures of your loved one doing her favorite hobby, watching a sports game or having a great time on vacation. Decorate your board with pieces of memorabilia from your loved one's life, using the newspaper clippings and personal effects you collected. Check the location where you plan to display your board. 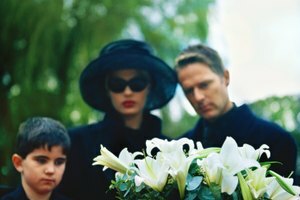 If it's on or near a table, consider also adding personal items like trophies, his favorite baseball cap, her favorite book and other things that inspire good memories of the deceased. Downey, Lillian. "How to Make a Funeral Memory Board." 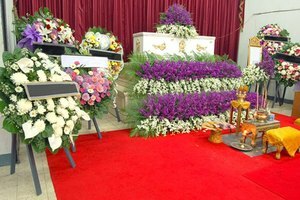 Synonym, https://classroom.synonym.com/how-to-make-a-funeral-memory-board-12084995.html. 29 September 2017.